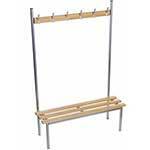 Generally used around the cloakroom perimeter with Evolve Rail Hat and Coat Rails mounted on the wall above. 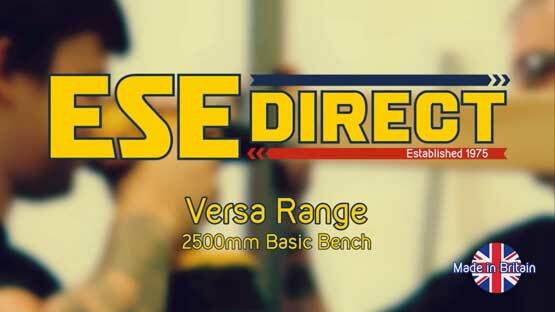 Our most popular freestanding single depth bench. 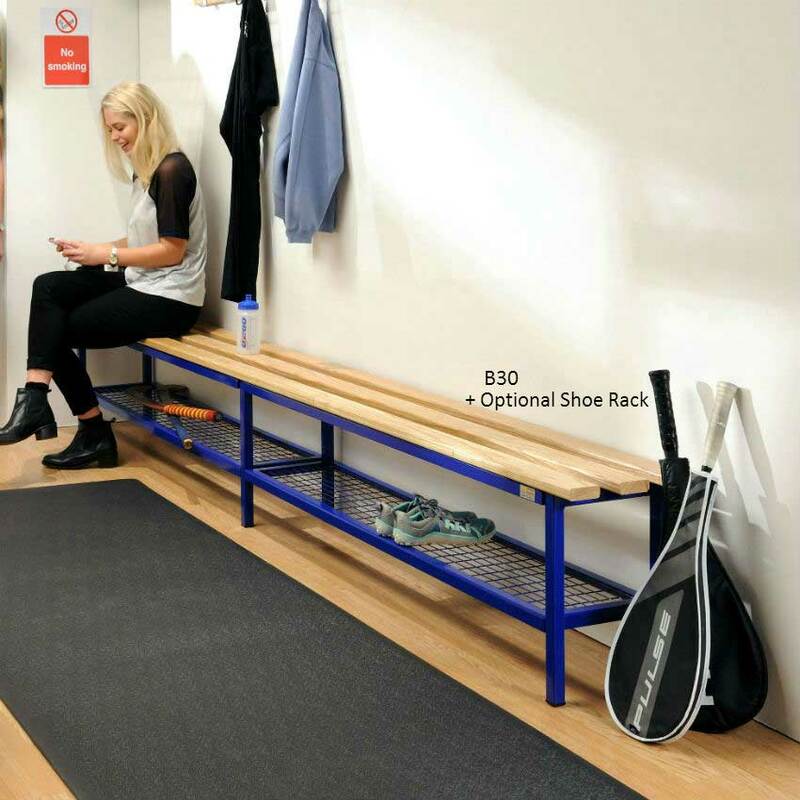 The Evolve Square Frame Mezzo Benches are perfect for simple business seating in companies that use changing rooms, entrance seating, and cloakrooms. 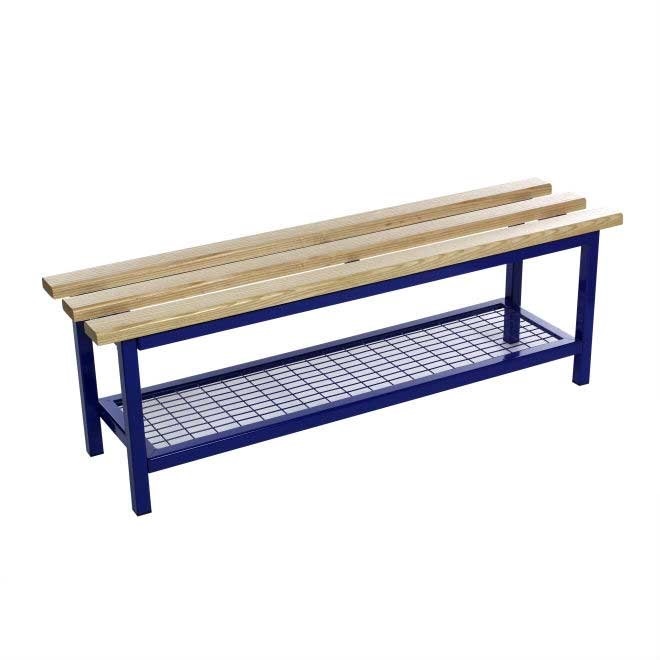 The bench, which is made of a coloured steel frame and an ash hardwood seat, is easy to clean and maintain, since it contains very few parts. The Evolve square frame mezzo benches are available in five different colours so that business owners can choose the colour scheme that best suits the interior of their offices. 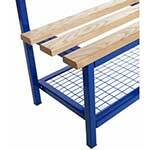 It is also available for sale with an optional shoe rack. 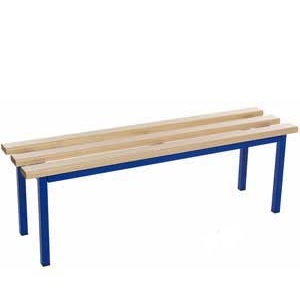 The Evolve Square Frame Mezzo Benches can be used at companies that have changing rooms, cloakrooms, and entrance halls. 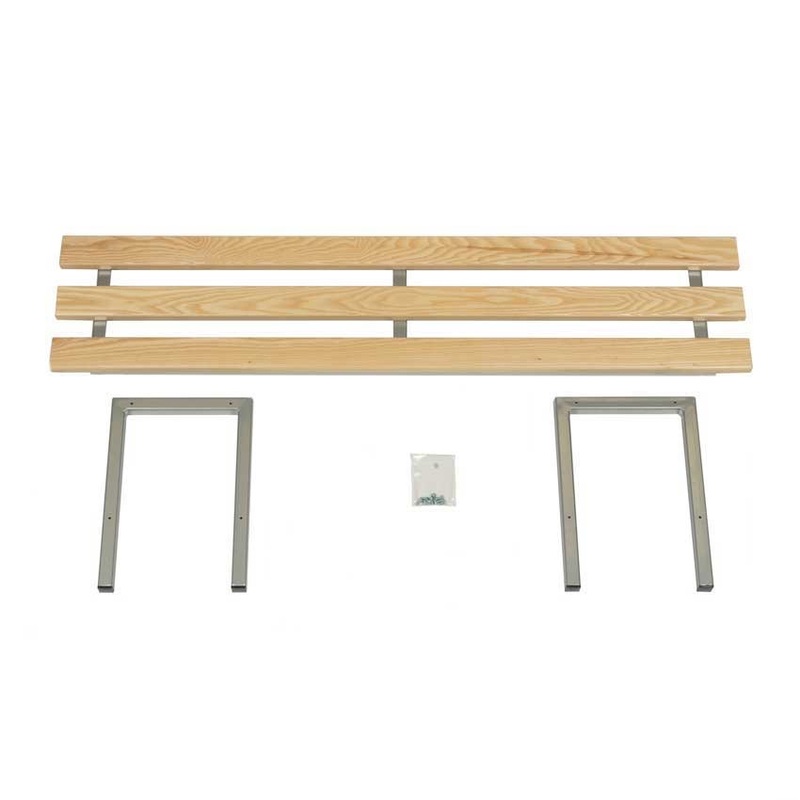 A restaurant that has a coat check, for example, may decide to install the basic bench just outside the cloakroom with the Evolve rail hat and coat rails hanging above for easy outerwear removal. 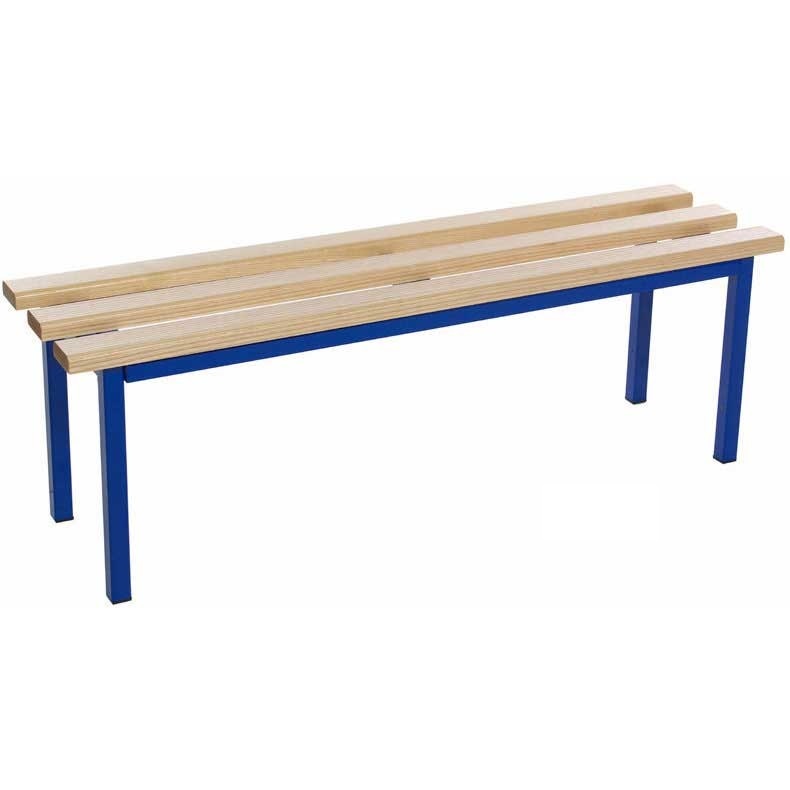 These benches feature anti-bacterial paint, which helps to reduce the amount of infectious germs on the surface, making it a perfect choice for an environment that may harbour bacteria, such as a school or a doctor’s office. 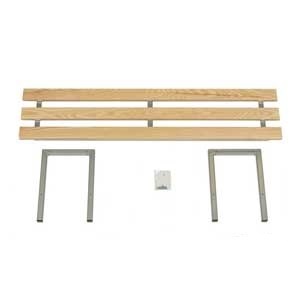 The Mezzo Square Frame Basic Benches are designed for adult height, which differs from the shorter models made for children and infants. B30 - The product is to be use in a ladies locker room at a Golf club, it will be seen by visitors and the product will sell itself. 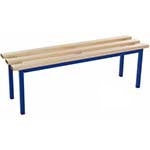 B20 - As a private school we pride ourselves in providing good quality furniture and the same is true about our changing rooms.We have found the product to be exelent value for use in our cloakrooms. Q. 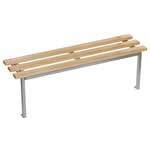 Can you do bespoke size changing room benches? Q. 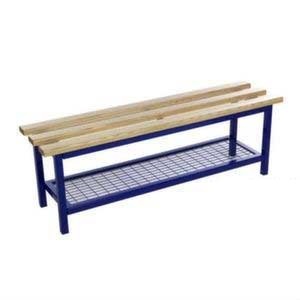 Can you do other colours of changing room benches?